And when my friend Ashley got me a cookbook dedicated solely to whoopie pie recipes, AND a special baking sheet to aid in making perfectly shaped whoopie pies, well I just knew immediately what I’d be trying out for Easter dessert. I wanted to pay homage to the amaaazing’ness that is a whoopie pie from grammy’s kitchen, but with a twist. 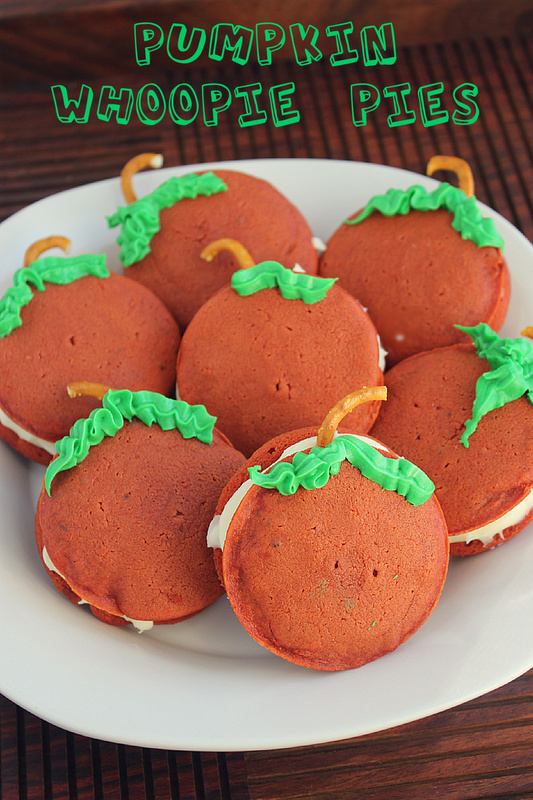 Whoopie Pies by Sarah Billingsley and Amy Treadwell – Thanks Ladies! My whoopie pie fetish will continue! 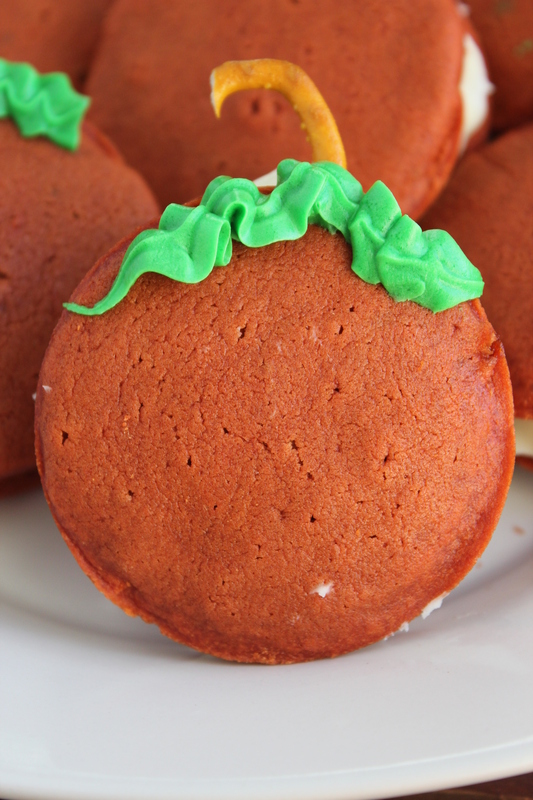 When I think of Easter, I think of bunnies – when I think of bunnies, I think of carrots and right there in the Whoopie Pie Bible was a recipe for Carrot Cake Whoopie Pies! BAM! 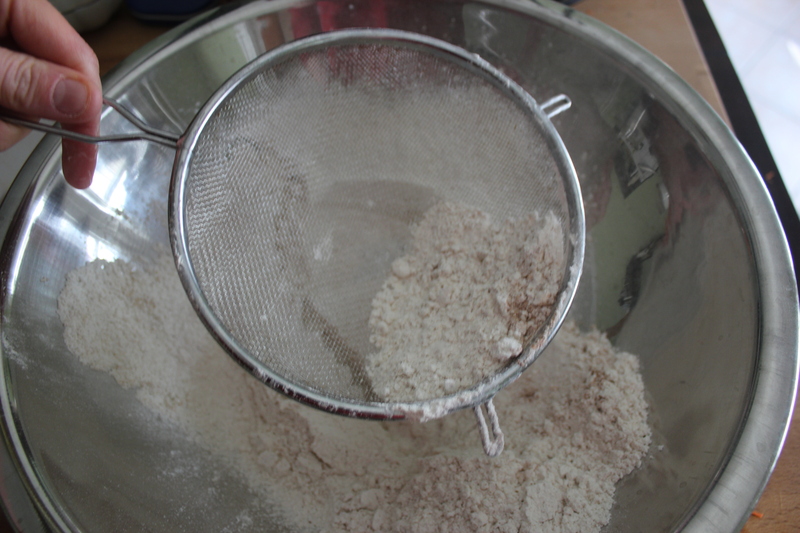 2) Sift together flour, baking soda, baking powder, cinnamon, ginger, nutmeg and salt. 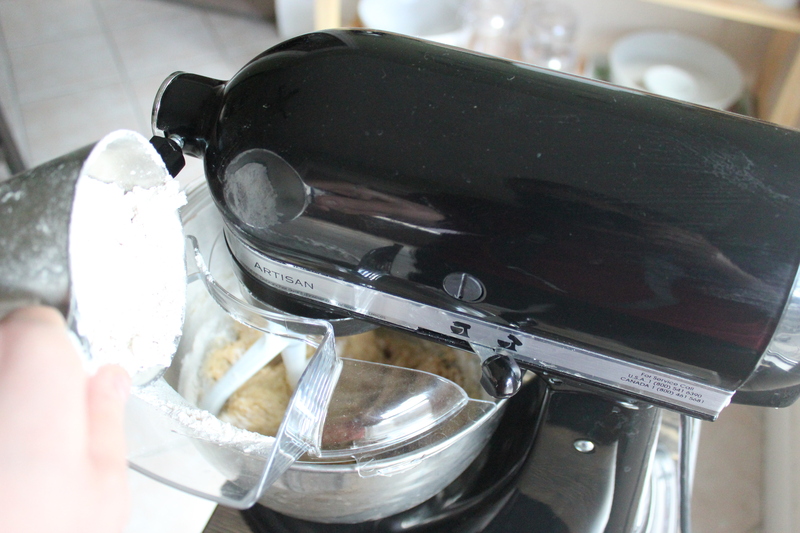 3) In the bowl of a stand mixer, beat together butter and both sugars until light and creamy. 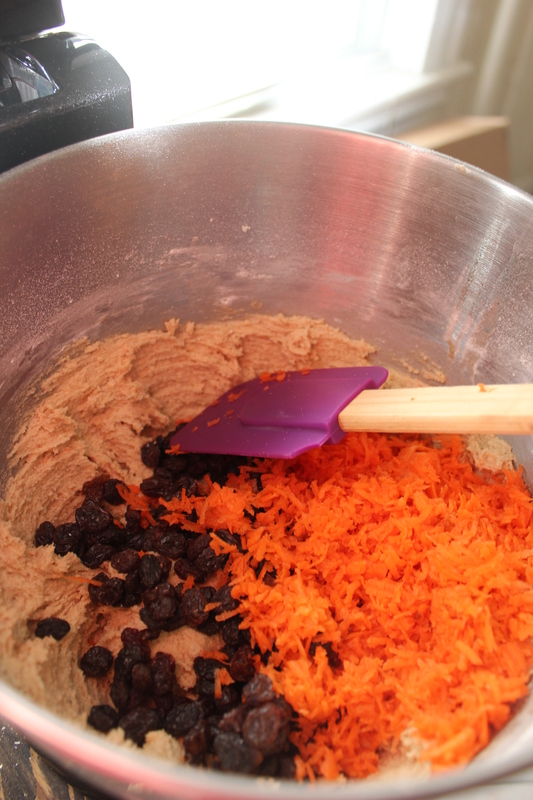 5) Mix the flour mixture in until just combined – then add carrots and rasins. 6) Chill batter for at least an hour. 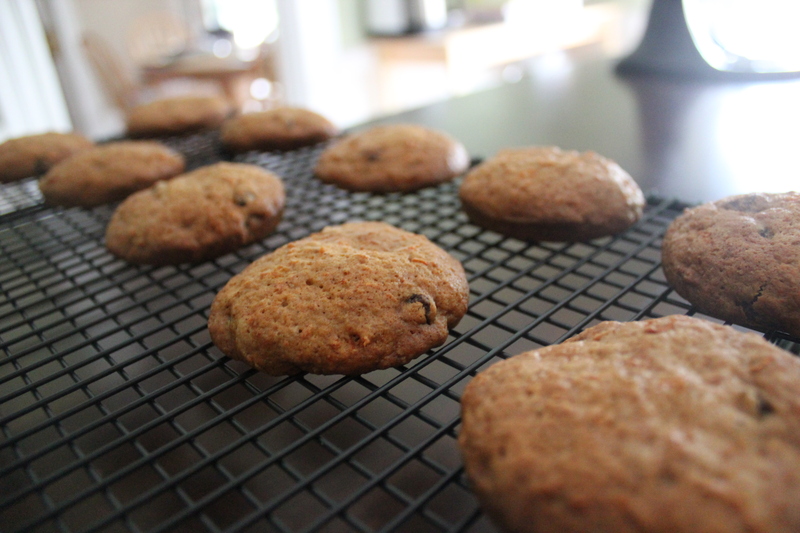 7) Drop balls of dough (about 2 tbsp’s) onto a prepared baking sheet with parchment paper. 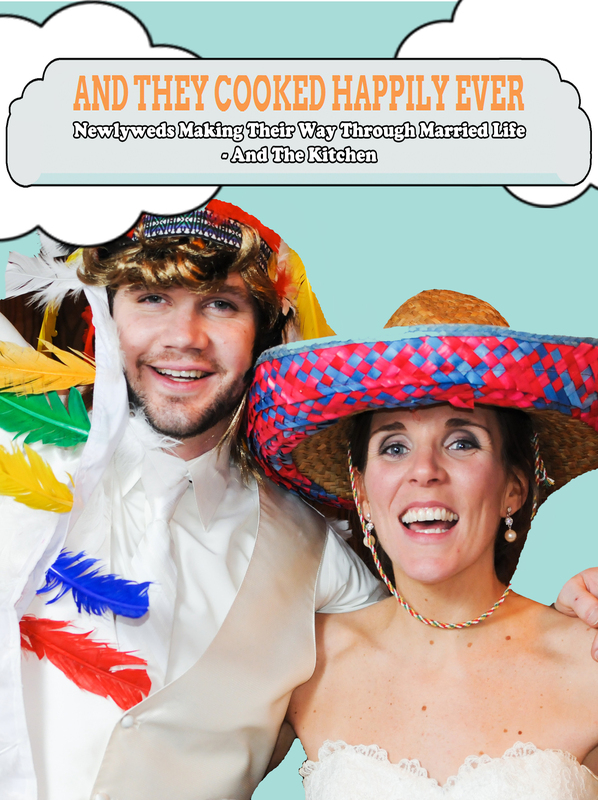 8) Bake for 18-20 minutes, or until cakes spring back when pressed lightly. 9) Remove and let cakes cool on sheet for 5 minutes before transferring to a cooling rack. 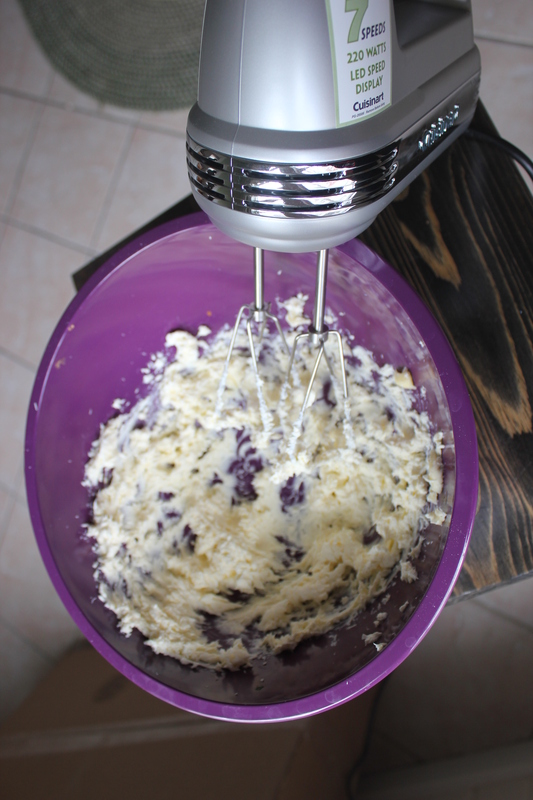 1) With an electric mixer, beat together cream cheese and butter on medium speed. 2) Add sugar and beat on low until combined. 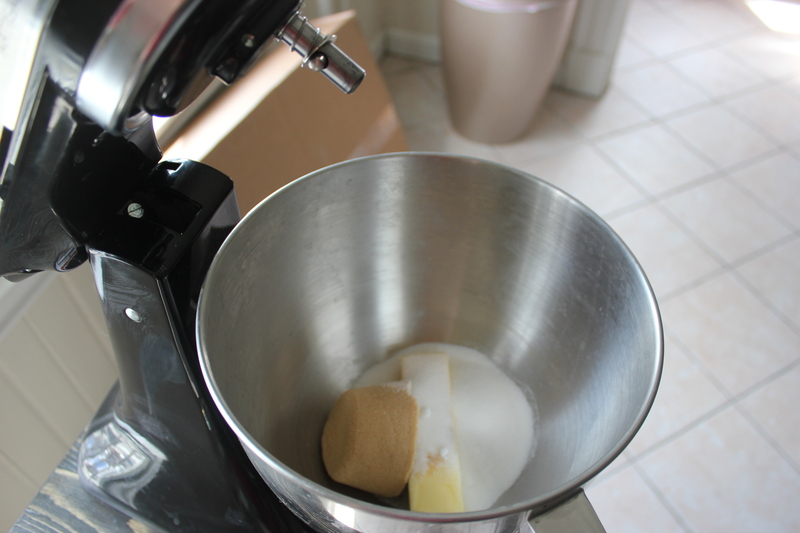 3) Add vanilla and increase speed to medium. 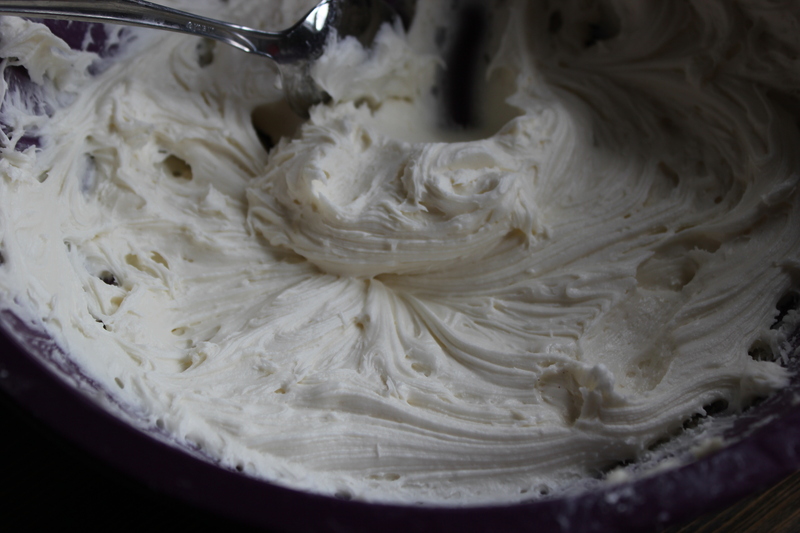 4) Beat until creamy and smooth – about 4 minutes. 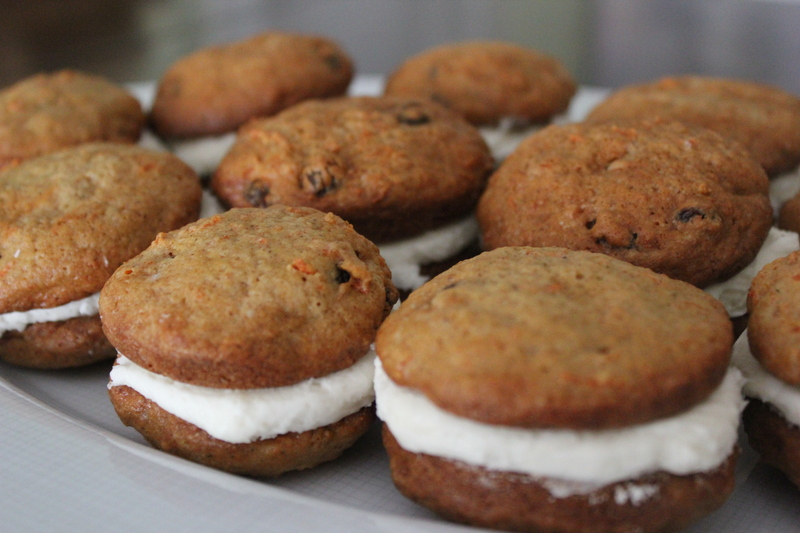 Slap some delicious cream cheese between those delicious carrot cakes and BAM – carrot cake whoopie pies – you won’t be sorry you made them! Even Dave, who prides himself on ‘not really being that into sweets’ grabbed one of these bad boys and enjoyed every last morsel. 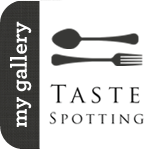 He even said ‘Yeah those are pretty good’ which to me is a rave review coming from a non-sweet eater!